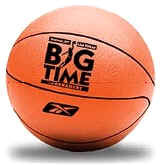 Our BigTime Youth Basketball Tournaments are held every week of the year and are terrific events for girls and boys teams in grades 1 thru 12 to get better against great competition for a lot less than other events, have fun and the opportunity to be recognized each and every week here at GregSwaim.com, as well as the daily Greg Swaim Radio Show and our weekly BigTime Television Show. Each of our tournaments have an “exposure” component to them, as our trained staff are constantly watching and evaluating players for our College Basketball Recruiting Service, which is subscribed to by hundreds of coaches around the country. If you’re good then the college coaches will soon hear about it when you are discovered at a BigTime Tournament, as thousands of top players have over the years. This is the same tournament that current and former pro and college men’s and women’s stars have grown up playing in since 1988. All of our tournaments have certified HS/College officials, trained scoretable staff (so you don’t have to grab parents out of the stands), and in state-of-the-art, climate controlled facilities. We pride ourselves on providing a pleasant environment for players, parents and coaches by hosting our events in safe neighborhoods and requiring teams to behave at an acceptable level. We reserve the right to no longer invite teams to our events whose parents, coaches and players cannot act at an acceptable level. We have eliminated teams from our events over the years because we believe that teams want competition in a safe and wholesome environment. Our tournaments have RULES which keep those who don’t play by the rules from ever coming to our events and you won’t have to grab parents out of the stands to keep score, as we have certified officials both on the court and at the scorers table. We’ve been hosting tournaments since 1988 and only hold our events in state-of-the-art facilities. If you have a special schedule request, please be sure to put it in the “comments” section. Additionally, we have special BigTime Hotel Rates with top hotels in those areas. Our staff stays there with our own families, and we invite you to stay with us on your trip. All of our events will have at least one of our NCAA Certified Scouts from our recruiting service evaluating players. The recruiting service is subscribed to by over 700 Men’s and Women’s college programs at the NCAA-D1, DII, DIII, NAIA-D1, NAIA-DII and NJCAA levels in all 50 states!! If for some reason the signup page below does not appear on your browser, you can CLICK HERE to register online.